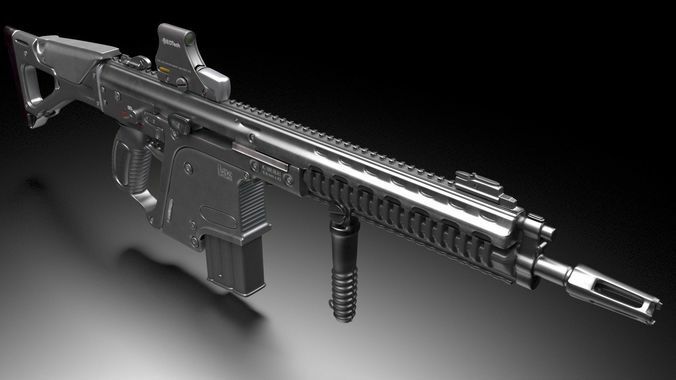 Heckler & Koch automatic rifle 3ds max model. Textured with two color maps with vray materials. Zip folder contains *.FBX and *.obj file. It is subdivision ready. It means you may freely apply eg. 3ds max`s Turbosmooth modifier to gain more smooth mesh. Render settings and HDR image not included.